This post is dedicated to how inept I feel at trying to figure out this whole process. I have fumbled my way through so far but I understand I must publish this post with the code in order to get a bloglovin button. Crossing my fingers and hoping it works...can't wait 'til I can afford some tech help. 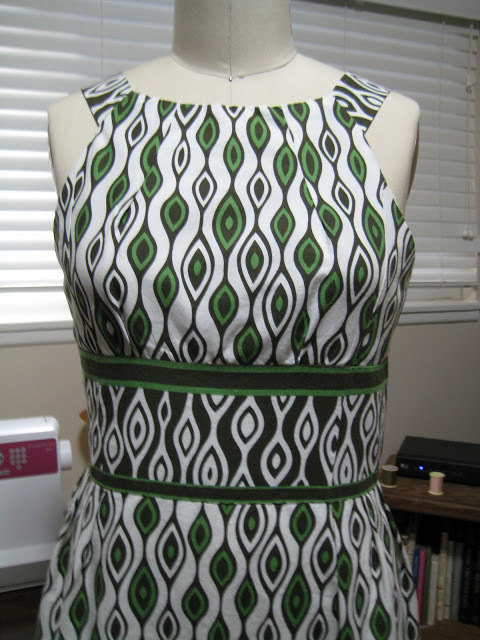 Just so you won't be too bored I will post a picture of my first design (totally mine) in years. I am starting to remember all of those lessons I learned in design school, and learning some new things thanks to the net. Here is the dress! This is the aftermath. This will go well with some 3/4 leggings and ballet flats. I think a black pair with a white crop toe might be very nice. Tried to add some pictures of both to this blog but my computer was acting a little wonky. 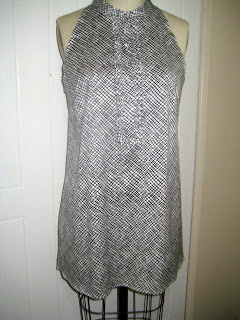 This top would also pair nicely with my black skiny jeans and heels for a night out! This thrifty rescue was so much fun! The finished project has a retro vibe that I really like. 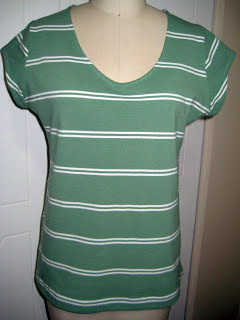 My adorable husband thinks it looks like a pregnancy top but I think he is crazy! As you can see it lies flat over the stomach and pulls away from the body on the sides and back. 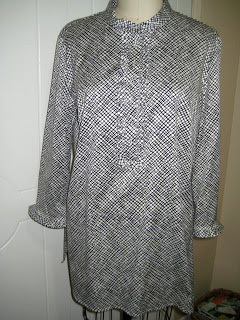 The original product was from the Dana Buchman "Diva" label, from her line on QVC. If you check out the "before" below you can see this was quite the grandma top. 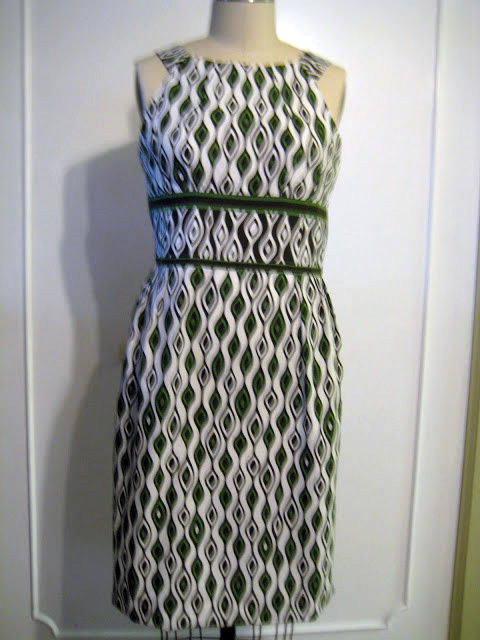 Nevertheless, the fabric and construction were good. When I saw it, I knew exactly what I wanted to do with it! At a price of $5 from the thrift shop it was worth a try. 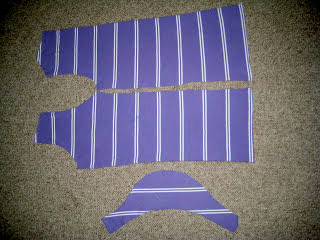 Step 1: Cut off the sleeves, shape and sew the sides and armholes. The back is a mirror image of the front. 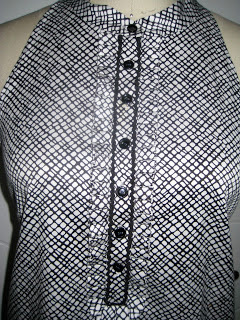 Step 2: I added contrasting buttons and some baby ric-rac to highlight the cute placket. Before this it all blended together.